(FAT/NTFS Within 1TB) 600-1200 Extra 200-500 CNY for larger hard disk driver. (IDE/SATA Within 500GB) 1000-2000 Extra 500-1000 CNY for larger hard disk driver. (IDE/SATA ) 2000-5000 1.Depends on the disk size and the difficulty level for recovery. 2. Extra Fee for spare parts if needed. (FAT/NTFS Within 300GB) 2000-4000/Disk Extra 500-1000 CNY per disk for larger hard disk. 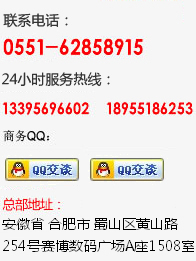 Disk scratch CF/SD/XD/USB-Disk/CD/Floppy/Record Pen Logical Damage:400-1000 Extra Fee for spare parts if needed. 1.5 times of The Price Above. 4.7GB per each one. Free for 2 disks, and 20 CNY for each excess one. The price and promotions shall be explained by FIX Recovery Technology Development Co, Ltd.